Contratados is an art and tech advocacy project that aims to address and prevent these abuses by informing migrant workers of their rights and providing platforms for them to hold employers and recruiters accountable. We collaborated with Centro de los derechos del migrante (CDM), the Migrant Defence Committee, Research Action Design (RAD), and Studio Rev- to make Contratados a reality. 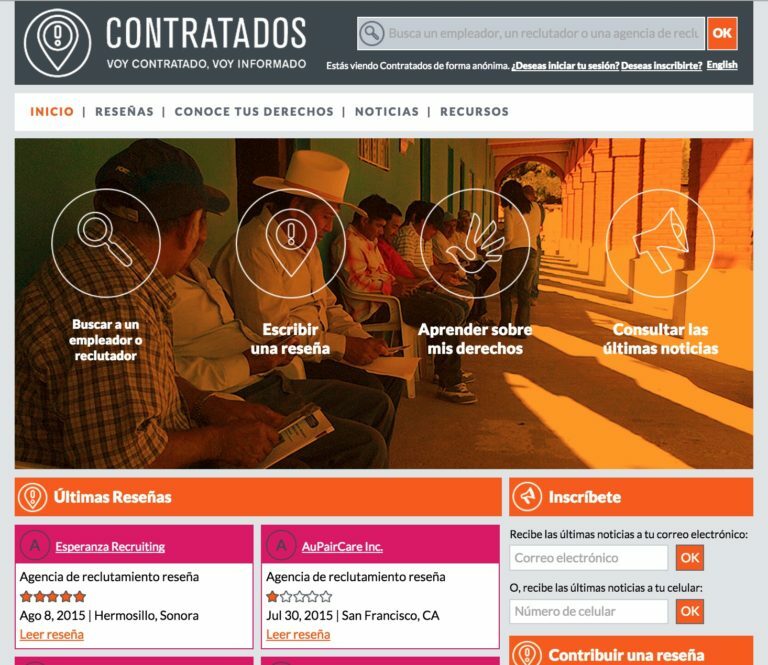 The cornerstone of the initiative is Contratados.org, which features a Yelp-like review system that allows workers to anonymously rate their experiences with employers and recruiters, or to read others’ reviews to help them make informed decisions about employment opportunities. For users who cannot access an Internet connection, there is the option of phoning in a review and listening to others’ reviews. 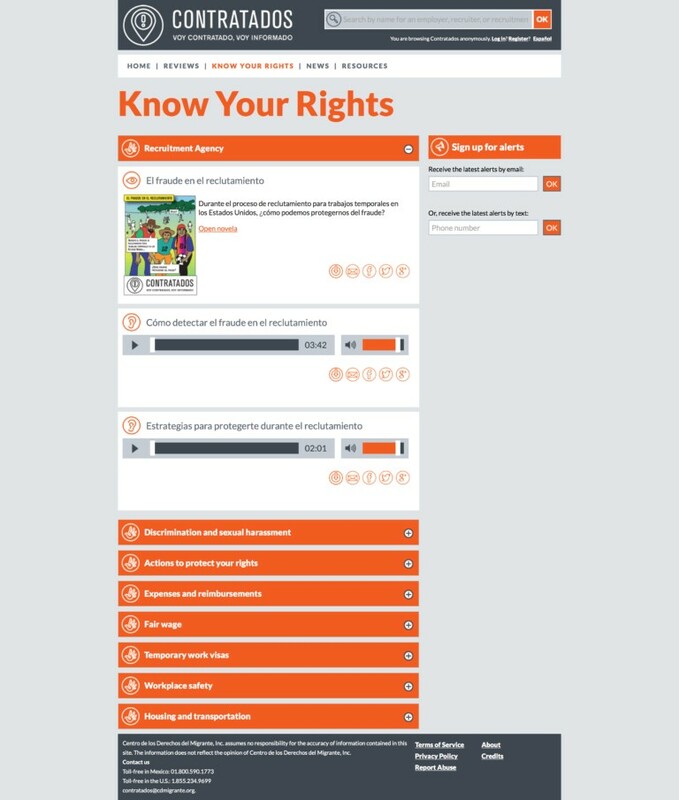 The review system is supplemented by “Know Your Rights” comics and audionovelas feature colourful characters in conversation about topics ranging from pesticide use to recruitment fraud. Users can also sign up for text and email alerts about time sensitive and emergent recruitment issues. 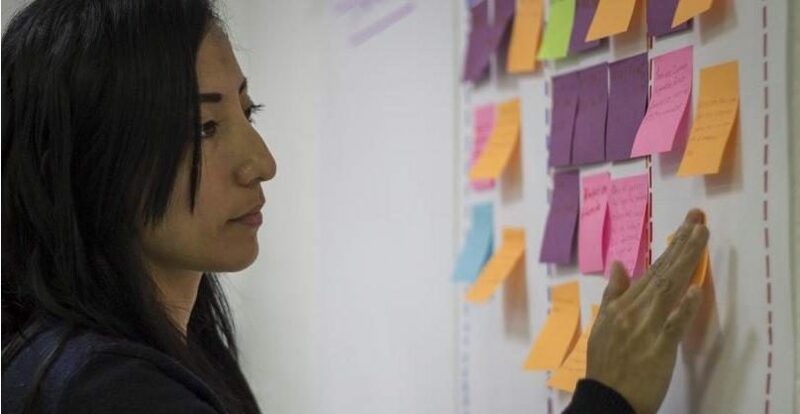 We see Contratados as exemplary of community-centered design — an approach that is directed by the needs and ideas of people who are most affected by the issues at hand. In CCD, the designer’s role is that of a creative and aesthetic facilitator rather than an expert. It is through these processes that communities design their futures and designers become advocates. Community-centered design practices acknowledge that people who are experiencing an issue have the most insight into the solutions. The strongest ideas therefore do not often come from outside experts, but rather from supporting efforts that are already underway. CDM was inspired by a Facebook page run by a fraudulent recruitment agency, which users had appropriated to leave comments about the agency’s exploitative practices. After the page was abandoned by the company, it came to be used as a community bulletin board where workers shared information and warnings about other fraudulent and abusive employers and recruiters. 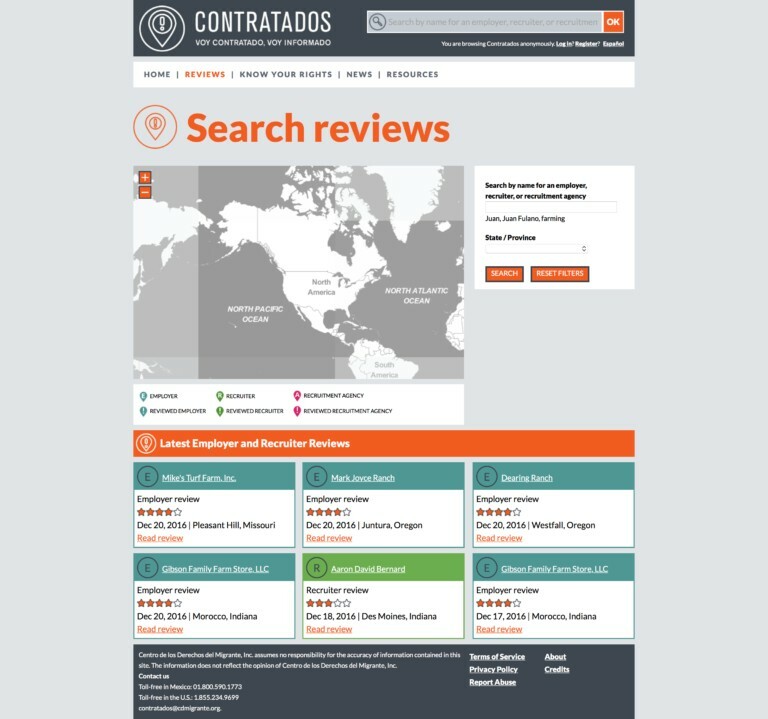 Contratados.org improves on what users were already doing, giving them the power to create their own pages for companies and leave anonymous reviews while making the information easier to find and making the system more secure for workers who might fear retaliation. Contratados.org builds upon what people were already doing to protect themselves and each other, knowing that it was a strategy that was working. Community is about relationships, so it is important to us to build on existing relationships when we are creating tools for communities. Contratados was co-designed with The Migrant Defence Committee, which began in 2006 as a special initiative of CDM. 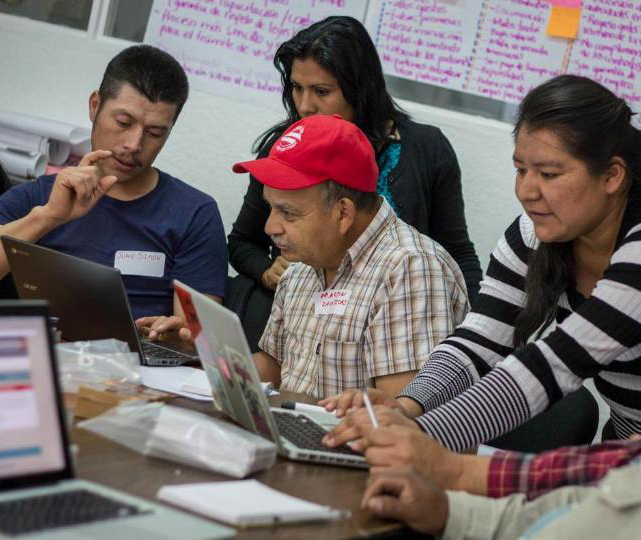 There are 75 members and leaders of the Committee throughout Mexico, and they are trained and supported by CDM as labour rights advocates for the many migrant workers in their communities. Rather than assembling an advisory of migrant workers who were not connected to CDM and might have been unfamiliar with advocacy work, we built on the relationships that CDM had been fostering for nearly 10 years. The Committee members were involved in each stage of the design and development process. They provided input on strategy, logo design, wireframes, and the prototypes. 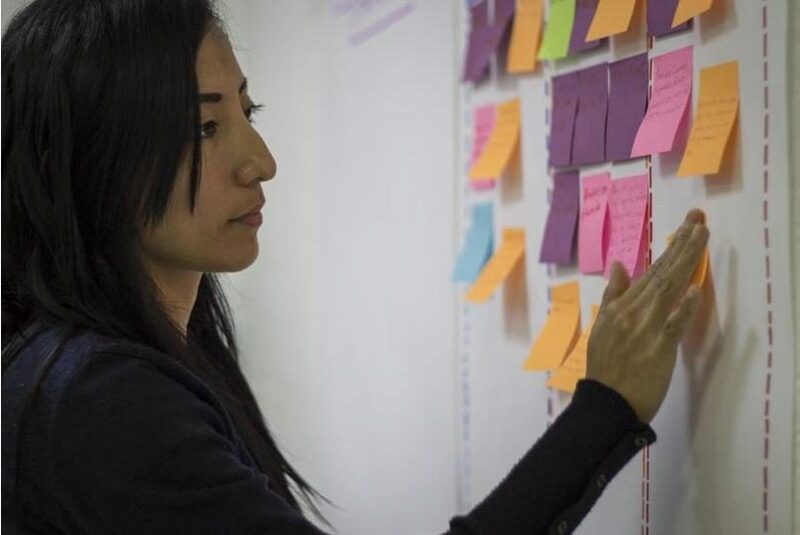 To understand more about the workers’ contexts, RAD travelled to Mexico to conduct co-design workshops with CDM and the Migrant Defence Committee. There, they learned about the how migrant workers access the internet at home and while in the US, and how they stay connected to their families when they are away for work. Certain key learnings were critical in shaping the project. 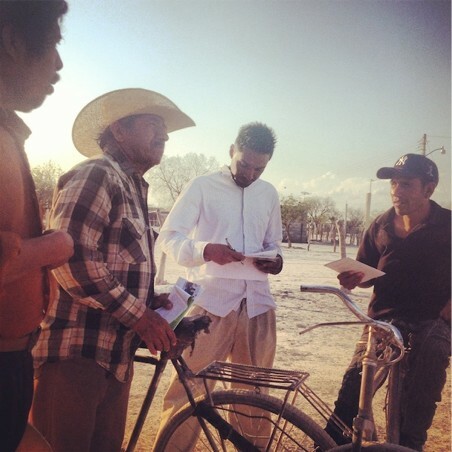 Unsurprisingly, workers had very limited Internet access both in the US and at home in Mexico; some shared stories of biking many miles to Internet cafes in neighbouring towns just to check email. The majority of workers carried cell phones, and when living in the US would call or text home with phone cards. For mass communication, the workers relied on radio and printed materials. RAD also learned that there was a gap in knowledge about what rights migrant workers had while on jobs in the US.Whereas Contratados.org had been conceived mainly as a mapping and review site, this information prompted us to shift our strategy and execution. RAD initiated a series of Know-Your-Rights materials in audio and comic book format. The audio pieces were aired on public radio in Mexico, and the folded one-sheet comic books were distributed in print and online. We used vojo to set up a system of telephone reviews. And we moved the map off the home page, so users could avoid burning through costly bandwidth and time as the map loaded. Although a conventional design process would have required far less coordination and would have been more streamlined, looping back to the workers resulted in a project that reflected their realities and that they felt ownership of. This means that the committee leaders are now stewards of the tool and actively seek new users and raise awareness about the tool through workshops and community outreach. This is a key difference between Contratados.org and other tech solutions to social justice issues — its strength is that it builds on offline organizing.